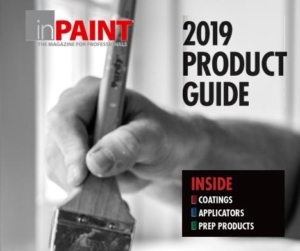 Social media can bring valuable exposure to any paint pro, and also open communication lines to new and existing customers; however, it’s a powerful tool that can bring some headaches, too. If you’re relatively new to social media or have had a fledgling presence online that you’re looking to boost, keep these tips in mind. If you are new to the game, start with one social media channel and learn do to it well, then expand to others, says Cheryl Reed, a spokesperson for Angie’s List. Paint pros will often start with Facebook, become comfortable using the channel as a point of contact, then expand to others. Remember to include links to your web site and general contact information so that potential customers can find you. Twitter is the shortest and fastest way to communicate with customers, and Pinterest and Instagram are great for those awesome ‘before and after’ jobs photos. Reed does, however, offer one cautionary note. “Be careful that you are completely separating your business page from your personal page. It’s best practice not to mix your business and personal social presences,” she said. Return on investment (ROI) is a constant concern for every small contractor, and we’ve all seen examples of how social media can be a huge time waster for friends and family members. Reed says, as a general rule, devote 30 minutes at the beginning and 30 minutes at the end of each day to post and moderate discussions. Always keep an eye out for customers on social media who may be posting about a negative experience. “If you can respond by acknowledging their issue and informing them you can assist, that will go a long way with building trust in your company and providing service via social media,” Reed added. What type of content works best for a paint pro? Photos and videos are tops, Reed says. Videos are more popular, but ‘before and after’ project photos are still effective. Don’t forget to ask a customer if it’s OK to showcase the work, first. And if the customer is already gloating about a job well done on social media, re-post, tweet, and say thanks. In addition, tag that customer whose job you shared. This will give you additional reach into their social circles. Don’t be surprised to see Twitter used as a public customer service hot spot where customers ask questions or voice concerns. If you do have to resolve concerns on Twitter, try to send only one public tweet to the user and ask him or her to direct message (DM) you. That way a problem isn’t hashed out over a long series of public tweets, Reed added. Don’t forget to use photos on Twitter as well, and use hashtags in the tweets, especially for promotional content. Hashtags can help you better track the effectiveness of the content.